So last season has been the best race year yet. I was very happy of my accomplishment and was looking forward to see what 2016 had in book for me. The changes I had made last year paid of quickly and now I know those decision were for the best. 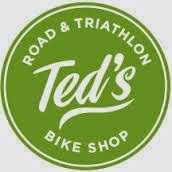 The changes have been, change of coach, change of training regime and change in nutritional plan. I have built my endurance, leaned out and start loosing this unnecessary muscle mass gained over the last 12 years. I am now faster on the bike and the run then ever and I have been swimming at my best in the last 12 years. I completed the 2015 season with multiple podium, I PDed at all my races and I have qualified and participated to the World Military Games in Korea. Last in December, few days before Christmas I thought I was starting at zero. I dislocated my shoulder and had a terrible general practice Dr trying to use 1970's method to put it back in place. After being tortured for 30mins or more I decided to walk away and go see real Dr at a real hospital. Only 5 days later I was in a Christmas Camp, not sure if I was going to make it. But I did. January turned the corner. I wasn't expecting anything, just training hard, staying focus. Good news came one after the others. First I was contacted by Nuun Hydration, a company who makes Electrolyte tabs specifically for endurance athlete. They were interested to sponsor me. So I jumped on the opportunity. Next I had text done, requirement for the application to the Canadian Forces National Team. I did my best 800m swim recorded in the last 12 years, even after a dislocation and my best 5km run in a life time. Those performances got me selected on the High Performance Triathlon Team. The list of athlete being so short, this would really make me smile. On the same week, we finally receive an offer on our house that would aloud us to move on from our obligation in Kingston. 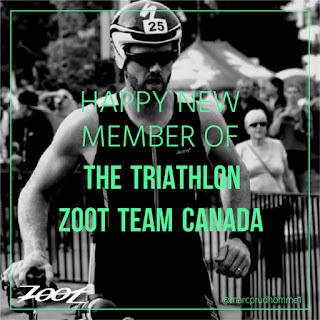 Finally, I receive a offer to join the rank of Team Zoot Canada. This year is promising... Stay tune, I wont disappoint you.